Manufacturer & Exporter of Heat Pumps. Our product range also comprises of Phenolic Foam, Insulation Boards and Energy Recovery Ventilator System. With enormous years of industry experience, we have emerged as the leading manufacturer, trader, importer, wholesaler and supplier of Heat Pumps. The heat pumps can also use waste heat sources, such as from industrial processes, cooling equipment or ventilation air extracted from buildings. Also, we delivered these heat pumps at the clients’ end within the promised time frame. Offered heat pumps offer the most energy-efficient way to provide heating and cooling in many applications. 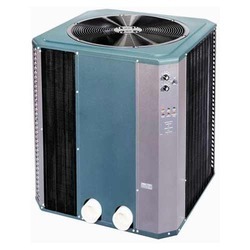 Looking for Heat Pumps ?